It’s common knowledge that you can walk into ToyotaLift of Central & Southern Illinois and find a quality forklift to purchase. 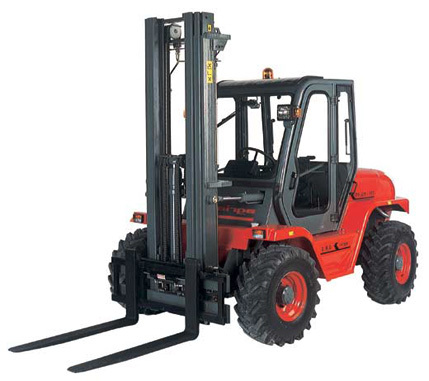 Did you know that Bahrns ToyotaLift offers forklift rental as well? A forklift rental may be the solution you’ve been looking for help with short term goals. The rental forklift option can cut operating costs in huge ways. Thousands of dollars every single year can be saved by choosing rental forklifts instead of purchasing! It does not matter if you need equipment for a small project or to help you survive your busiest season or are looking for specialized equipment for an extended period of time, Bahrns ToyotaLift can help. With Rent, Lease, and Rent To Own Options, you’ll wonder why you haven’t looked into a forklift rental before! Capacities from 1,500 – 18,000 lbs. Why Rent From Bahrns ToyotaLift? Bahrns ToyotaLift forklift rental does not slack on quality. The same reliable, personable staff will assist you with any questions about the hundreds of available forklift rental units in the forklift rental fleet. 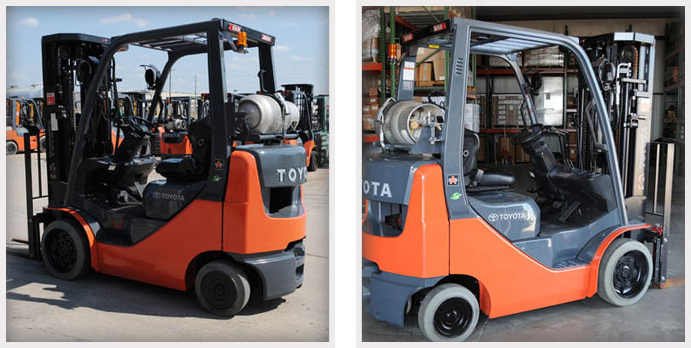 Cushion or pneumatic, gas or electric, sit down rider or stand up, the forklift rental choices are endless. Allow our staff to evaluate and present your options as you notice our competitive rates and the up-to-date equipment. At Bahrns ToyotaLift we don’t take quality lightly. We guarantee that our equipment is in incredible condition. Before a customer comes to us for a forklift rental, that forklift goes through an extensive inspection by our factory-trained technicians. We appreciate that our customers trust us with their heavy equipment needs and so we only trust the best brands in the industry. It is our priority to create easily maintained solutions for all of your needs, including forklift rental. Forklifts, scissorlifts, and boomlifts, and other industrial equipment are available through Bahrns Equipment. We do our best to tailor our equipment offers to your needs. Feel free to give us a call to check the availability and rates of our equipment. We have 2 location in Illinois - feel free to visit and see our impressive range of forklifts available to rent. Our facility in Effingham serves southern Illinois. Our second building, in St. Joseph near Champaign, is convenient for customers in central Illinois.